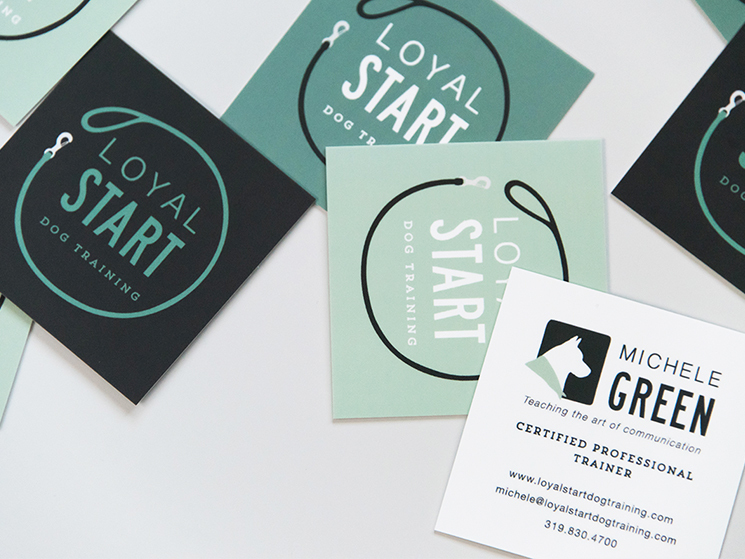 Beloved Pine Design Studio designed these square business cards for Loyal Start Dog Training, started by Michele Green as a way to help families create a loyal start to a lasting relationship with their dogs. The friendship, comfort and caring abilities of having a dog can be so wonderful, but there needs to be good communication in place. 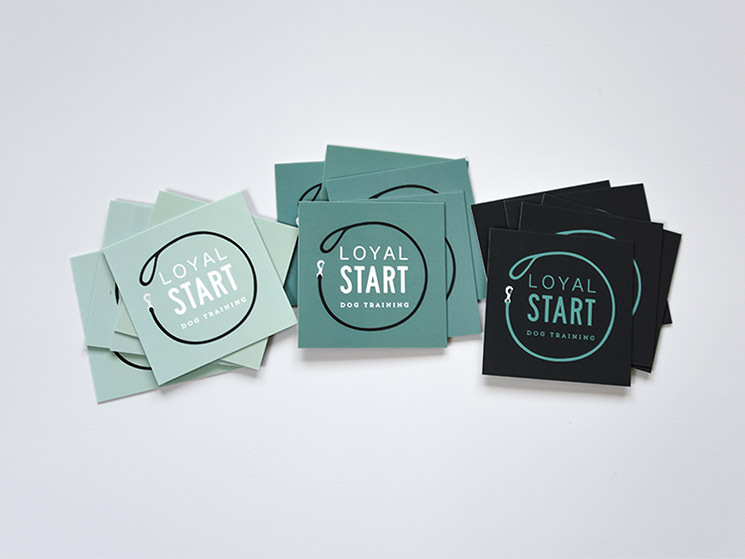 Loyal Start Dog Training helps you to understand your dog and teaches you the art of communication – it’s important to communicate this brand message throughout their visual identity. Amy was inspired by Michele’s commitment to building loyal relationships and she really wanted to incorporate elements that had a unique and united relationship. “I started incorporating the idea of the dog leash because it felt like a strong yet approachable icon and it alluded to the need for training. Whether a dog is on leash or off leash there is a need for trust and training.  I designed the leash to have a fun, interactive and complimentary relationship with the bold design of the business name. I was also inspired by Michele’s story of how her business started, and I wanted to incorporate that through illustrating her family dog as a secondary brand element. This secondary icon works as a strong business mark, but also connects to a more meaningful and personal side of the business’ story,” Amy explained. These business cards were printed on a 19pt soft touch paper and according to Amy, “The soft touch paper really helps the brand colors to pop and gives the brand a soft, approachable feel.” And she’s right!